As we head into November, planning for the holiday season takes center stage and that invariably includes thoughts about cookies. 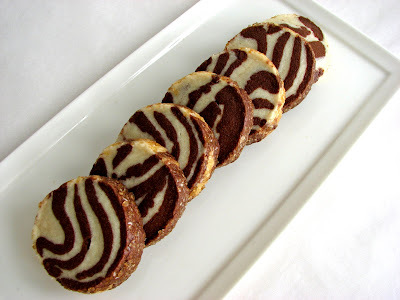 The fun that comes along with this time of year is not only making our favorite cookies but also trying some new ones. There are so many different flavors and textures and traditions to consider for our gift boxes and adding to our repertoire keeps us fully engaged with the spirit of giving. This cookie is for those who can’t seem to decide between chocolate and vanilla. Two doughs are stacked and swirled together to give a taste of each in every bite. The resulting cookie is light and crumbly and visually appealing enough for a holiday platter. And despite its complex Rorschach appearance, it’s incredibly easy to make. Measure out or weigh all the ingredients for each dough before you begin and preparation will go quickly and smoothly. The whole process can be done in less than an hour, including the 15 minute chilling time before shaping the cookie dough. Once the finished logs have a chance to firm up in the refrigerator for a few hours, you're set to bake. The recipe comes from Flo Braker, who borrows it from Nora Tong. In a region that boasts so many great and accomplished bakers - Alice Medrich, Lindsey Shere, Emily Luchetti, Elizabeth Falkner, Marion Cunningham and many, many others - Flo Braker has contributed a very distinguished collection of recipes that are all about the great satisfaction of sharing delicious pastry with family and friends. Adding this fun and easy cookie to your holiday production line will make your season of giving all about pleasure. - If you have a scale, Flo Braker recommends that you weigh ingredients to perfect the flavor and texture. - The logs of cookie dough can be frozen for up to one month. Instructions say to thaw in the refrigerator for several hours or up to overnight before baking. 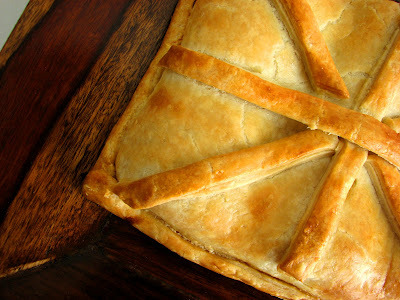 - If you prefer to make less than the full recipe, divide it into thirds and make either one or two-thirds. It will be much easier to follow instructions that way. - I always work the dough on parchment paper to make the handling and rolling easier. Each time you need to move the logs of dough, you simply lift the parchment and the log maintains its shape. 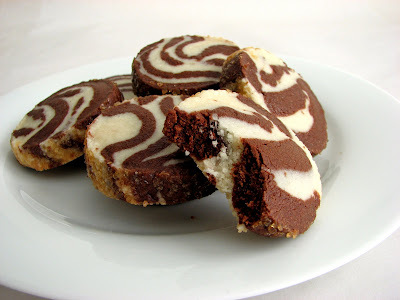 - Add your favorite spices to the chocolate dough or your favorite extracts to either dough. - I’ve also tried making each dough in a food processor and they came out fine. Start with the vanilla and then make the chocolate. Just be sure not to overmix. - To help keep their round shape, I use the leftover cardboard from a roll of paper towels to store the cookie logs. Just use a pair of scissors or a sharp knife to cut open the cardboard and slip the cookie log inside. Combine flour, sugar and salt and mix on lowest speed just to blend. Stop the mixer and place the butter on top of the flour mixture. Wrap a kitchen towel around the mixer bowl to prevent the flour from flying out of the bowl. Mix on the lowest speed just until it starts to appear lumpy. Stop the mixer and add the vanilla. Mix on the lowest speed just until the mixture is combined. Transfer the dough to a bowl, cover and refrigerate for 15 minutes. Use the same instructions above, placing the flour, sugar, cocoa powder and salt in the bowl and mixing on the lowest speed to blend. Add the butter and proceed as above, then add the vanilla. Transfer the dough to a bowl and if too soft, cover and refrigerate for 15 minutes. Divide the Vanilla Dough into thirds, with each piece weighing about 7 1/2 ounces (215 grams). Divide the Chocolate Dough the same way. You will work with one-third of each dough at a time. On a piece of parchment or clean work surface, flatten one piece of Vanilla Dough into a 7" x 5" rectangle. Repeat this with a piece of the Chocolate Dough. Place the chocolate rectangle on top of the vanilla rectangle, then cut the stack in half crosswise to create 2 pieces, each about 3 1/2" x 5". Place one half on top of the other half to create 4 layers. (You may need a dough scraper to help with this.) Press or roll the stack into a 9" x 4" rectangle. Cut the stack in half lengthwise to create two 9" x 2" pieces. Place one piece on top of the other to create a long narrow stack with 8 layers. Carefully twist each end of the dough once or twice, gently working toward the center. 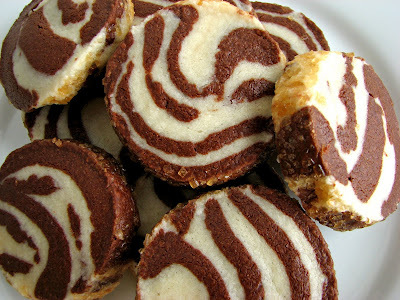 Use your hands to twist the pattern and shape the swirled dough into a log about 8 1/2 ” x 2”. Set aside. Repeat this process with the remaining pieces of each dough to form two more logs. Compress each log with your hands so it is compact, gently rolling back and forth until the log is round and uniformly shaped. Roll each log in the sprinkles to coat. If the dough is soft, set the coated logs on a baking sheet and refrigerate for about 1 hour or until firm enough to handle. Wrap each log in plastic wrap and return to the refrigerator for a few hours to chill thoroughly. When ready to bake, preheat oven to 325 degrees. Use a sharp knife to cut generous 1/4” slices and arrange 1/2" apart on baking sheets lined with parchment or a silpat. Bake one sheet at a time just until they are no longer shiny on top and are lightly golden on the bottom, about 10 - 12 minutes. Cool completely on wire rack. Cookies can be stored in an airtight container at room temperature for up to 10 days. I think my first memory of Julia Child was her voice. And her arms. A strong husky voice and long animated arms that punctuated nearly all of her sentences. Oh, and the pearls worn with her shirtwaist dresses. The way she swayed when she was delighted, each word pronounced with exaggerated flair. I’d never seen or heard anyone like her. Every episode, every dish was an imaginative voyage across cultures and habits. Although Julia is now gone, her legacy surely endures. We still celebrate her birthday and still ponder her recipes. The release of Nora Ephron’s film this year had everyone waiting in anticipation of how Meryl Streep might act out this great woman’s bigger-than-life ambition. There is still so much fun that surrounds her extraordinary life. When I received a review copy of award-winning writer Laura Shapiro's Julia Child: A Life from Penguin, I was definitely curious to know more about how she spent her time in Paris and what she thought about how her life unfolded in the limelight. What was her real relationship to food and how did she reflect on her training? How did she handle her fame? Why do we feel so much affection for her? The book follows Julia’s life from her early days to the end of her life. It chronicles her many trials and tribulations and reveals all the exciting developments that eventually spawned an industry. Although the publication of Mastering the Art of French Cooking was what possessed her for so many years, it wasn’t until Julia began her cooking shows on PBS that she came into her own in the public eye. She started with an omelette on the Today show and wound up with several television series, nearly all acclaimed for their own unique sense of exciting yet accessible adventure. Her audience flocked to her precisely because she was natural and unpolished. Julia's insatiable desire for good food was boundless and it was infectious. As I turned the pages, what I found interesting about Julia’s robust life was her journey from absolute devotion to French cuisine to an eventual embrace of other ingredients and techniques. But she remained very opinionated about food and how food culture evolved over the course of her lifetime. Although some of her views are quite puzzling, in the end, what mattered most to her was that cooking should be taken seriously and the appropriate preparation time taken to honor the integrity of the ingredients. She shifted the American emphasis from time to taste, from convenience food to long hours over the stove. For her, it was never about opening a box, but about touch, taste and smell. Since I had the great opportunity of working behind the scenes on a PBS food series a few years ago, one little aspect of the book I especially appreciated was the sense of detail that goes into preparing for a TV show. Shapiro captures the endless planning and production processes that go into successful food programming and it brought back some of my own memories of the intensity of that experience. And Julia’s penchant for her brand of perfection are on full display. Julia’s legacy is about expanding our idea of what it means to be in the kitchen and to share the fruits of our labor. If the film piqued your interest in Julia’s life, this book unpacks the phenomenal story of how Julia pursued what every cook in the kitchen dreams of: proficiency and style. Shapiro carefully unfolds Julia’s rather pivotal journey and its overarching theme - that along with good instincts, it takes discipline, passion, love and time to produce soul-soothing results. The book also reveals some interesting secrets about her personal life. And one thing is certain - her strong sense of pride just about leaps off of every page. Julia’s work reminds us how we think about the consummate enjoyment of food and why we read and write cookbooks and, at this interesting moment in time, blogs. 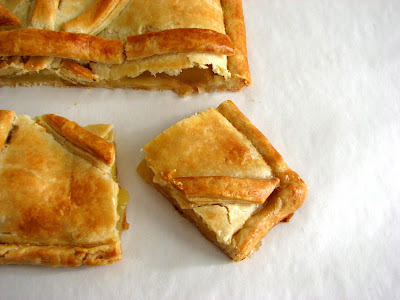 This is Julia's Apple Turnover. It’s the one she’s holding on the cover of Julia Child and Company. It begins with a pâte brisée dough that is simply folded over a tidy bundle of thinly sliced apples. It's rustic yet elegant, a true and delicious harbinger of fall. - Use your favorite baking apple. I happened to have fujis. - I omitted the shortening. If you don’t have cake flour, you can go with all-purpose. 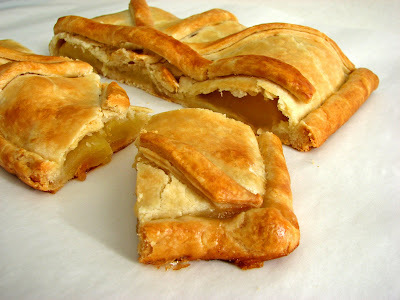 - Another version of an apple turnover is the magnificent Chausson aux Pommes. Chop the cold butter into small cubes. Put the flour, salt and sugar in a food processor and blend. Add cubes of butter and pulse a few times to break up the butter. Add the shortening and pulse until the mixture resembles coarse meal. Add 1/2 C ice water and pulse 2 or 3 times. The dough should be soft, pliable and will just hold together when you press a clump between your fingers. Be careful not to overmix. Turn the dough out onto a piece of plastic wrap and form a press it into a disc. Wrap tightly and chill thoroughly. Let the chilled dough rest on a lightly floured piece of parchment for a few minutes so it can soften just a bit to prevent cracking. Then roll the dough out to about 18” by 10” rectangle, moving the dough and keeping the parchment lightly floured as needed. When you have the desired rectangle shape, trim the edges with a sharp knife. Save the scraps if you’d like to make a design on top of the turnover. Lift and slide the parchment and pastry onto a sheet pan. Chill while you prepare the apples. Place the lemon juice and zest in a bowl big enough to hold the apples. Peel and core the apples. Slice them fairly thin and toss them in the lemon juice as you go to prevent browning. Add sugar and toss thoroughly. Set aside. Take the rolled out dough from the refrigerator and place it in front of you so the short side is closest to you. Make a slight mark at the halfway point on the long side so you know where the fold will be. Line up about 3 – 4 vertical rows of sliced apples on the lower half of the rectangle, leaving a 3/4” border along the 3 sides. Brush the apples with melted butter. Brush the borders of the dough with water. Fold the upper half of the rectangle over the apples and press to seal. Turn up the edges to make a small border and press again to seal. You can decorate with the tines of a fork or pastry scraps. Cut some air vents (along the sides of the pastry scraps, if using). Chill the finished turnover for 1/2 hour. Preheat the oven to 400 degrees. Brush the turnover with egg wash and bake for 35 – 40 minutes, checking at 20 minutes to be sure it isn’t browning too fast. Cool on a wire rack. 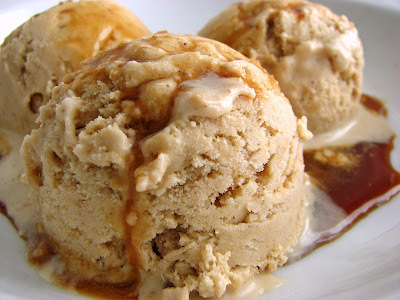 This is probably one of the easiest and best ice creams you’ll ever make. Returning to one of my favorite ingredients, this is chock full of the simple and beautiful flavor of oatmeal and it is fantastic. It starts with a creamy milk and oatmeal brown sugar cinnamon base with a healthy pinch of salt into which eggs yolks are stirred and cream is added. The brown sugar builds a lovely caramel flavor, there’s just enough salt to perk it up, the cinnamon doesn’t overwhelm and the oatmeal lends a wonderful chewiness that is just perfect. A little splash of rum expands the earthiness but the final product does not taste of alcohol. If you can imagine all these warm and fabulous flavors harmonizing together in splendid bliss, I think you know what I’m talking about. Well, that is if you love oatmeal as much as I do. I think this ice cream tastes really fabulous on its own. I know it’s going to be hard to resist the temptation to add various things to it. I’ve dressed it here with a very light drizzle of Saba, which is delicious and takes the simple homey quality of this ice cream into the realm of total elegance. But honestly, this ice cream is really great all by itself. Once this comes out of your freezer, you’ll be so busy tasting it that it will be gone by the time you think you might want to garnish it. Full speed ahead! 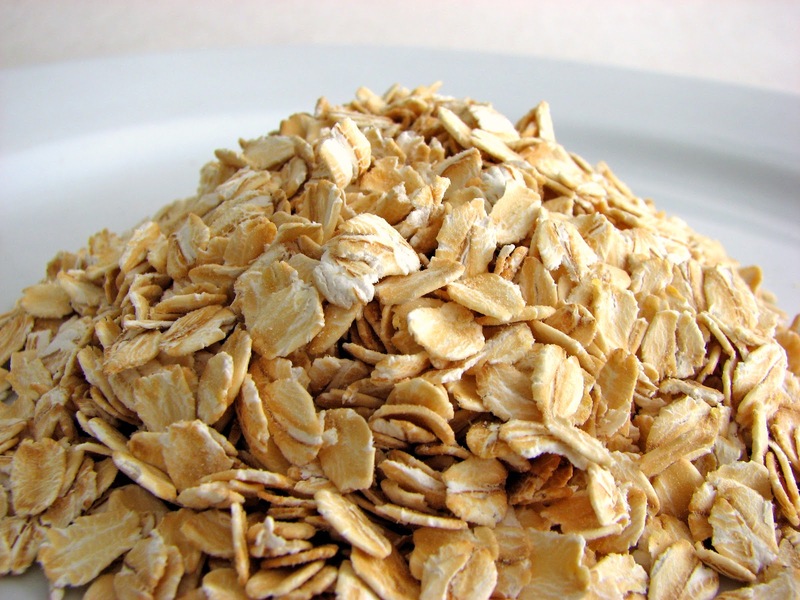 - Be sure you use old fashioned rolled oats, not the instant variety. - Be generous with the salt as this is what gives it its full flavor and balance. - Chill this ice cream base overnight to give all the flavors a good chance at a happy marriage and ensure a very cold start when you go to churn it. - Saba is a kind of super delicious slow cooked balsamic that is sweet and smooth, a bit lower in acid with a faint taste of raisin. It has a slightly thicker viscosity than vinegar but is not quite a heavy syrup. It's fabulous on ice cream (vanilla, chocolate, caramel, toasted walnut, etc, etc!). If you’d like to try Saba, I highly recommend the brand I received as a gift from a great pastry chef. It’s Guerzoni SABA BiodynamicTraditional Grape Syrup and it’s from Modena. Bring the milk, 1/2 cup of brown sugar and salt to a boil in a heavy medium saucepan over medium heat. 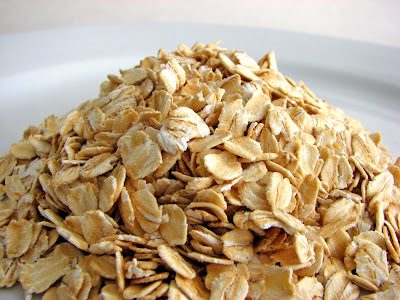 Lower the heat and add the oats and cinnamon. Simmer for about 6-8 minutes, stirring constantly, until the oatmeal has thickened and has a creamy consistency but the oats are still chewy. In a separate mixing bowl, whisk egg yolks with the remaining 1/4 C brown sugar until thoroughly combined. Add just a bit of the hot oatmeal into the egg mixture and whisk. Continue adding slowly and whisking until completely blended. Whisk in the heavy cream and rum. Taste for additional salt. Cool. Refrigerate overnight in an airtight container. Stir the mixture and churn in your ice cream machine. Pour into an airtight container, press a piece of plastic wrap into the surface, cover and place in your freezer to firm up. 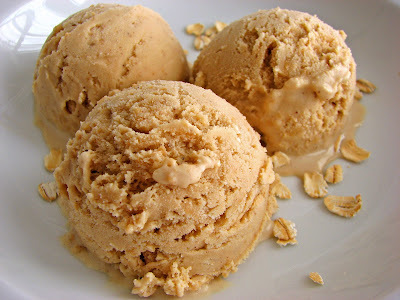 Oatmeal Ice Cream! I hope you enjoy this as much as I do. I really hate the feeling of walking into the market and seeing that all my favorite fruits have vanished into retirement for the season. My heart sank yesterday as I rushed around the corner to my organic market only to realize that figs are beginning to slip away. And no more nectarines. Sigh. But there are lovely bunches of grapes reclining everywhere! I love good grapes, especially the Bronx grapes we get here in August. And who can resist the irresistible mustiness of Concord grapes? 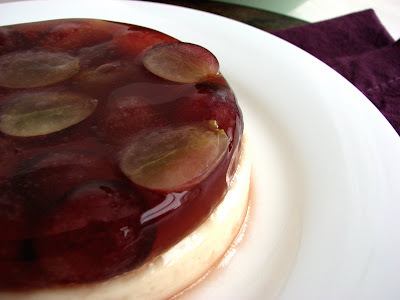 So here I use grapes in service to a molded dessert by topping a Panna Cotta with an easy and good Grape Gelée. The recipe has to be staged a bit, but other than that, it’s very easy to do. I first got the idea from a recipe I saw in Gourmet a few years ago. And speaking of Gourmet, I was pretty shocked to hear that it will be no more. Although it has been a flagship for good writers and interesting food journeys for nearly 70 years, Condé Nast has decided to fold it. It was a uniquely American publication that defined the culinary landscape in new ways over the decades, so it is sad to see its passing. But sad as it is, we can only look forward to a future of continued fervor online for the wonderful culture of food and the incredible pleasure it brings to all of us. 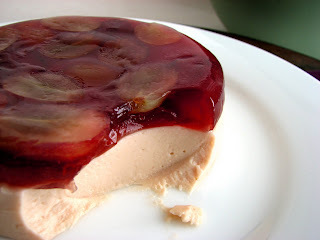 - This would be good to try with sliced plums, fresh figs, cherries or blueberries. - If you don’t have ramekins, you can just set these up in some glasses as a parfait. - I used four 4 1/2” ramekins. You can probably get 5 or 6 servings if you use 3 1/4” ramekins. Lightly oil four 4 1/2” ramekins. 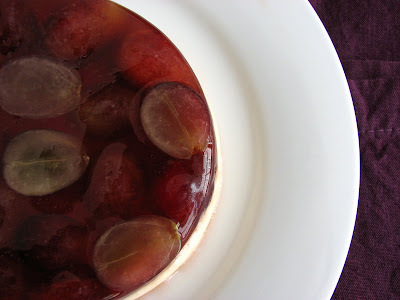 Sprinkle gelatin over 2 T grape juice in a small dish and let stand a couple of minutes to soften. Set the bottom of the dish in simmering water to melt the gelatin. Add to remaining grape juice and lemon juice (and port, if using) and combine thoroughly. 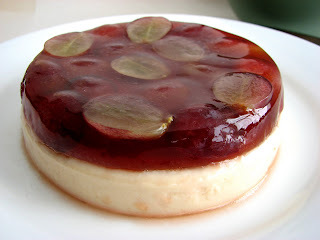 Divide grape gelatin among the ramekins. Line the bottom of each ramekin with the sliced grapes. Place ramekins in the freezer for about 45 minutes or until set. A few minutes before the gelée is ready, whisk together yogurt, vanilla and lemon juice until smooth. Set aside. Place 2 tablespoons of water in a small dish. Sprinkle the gelatin over the water. Let sit for a few minutes to bloom. 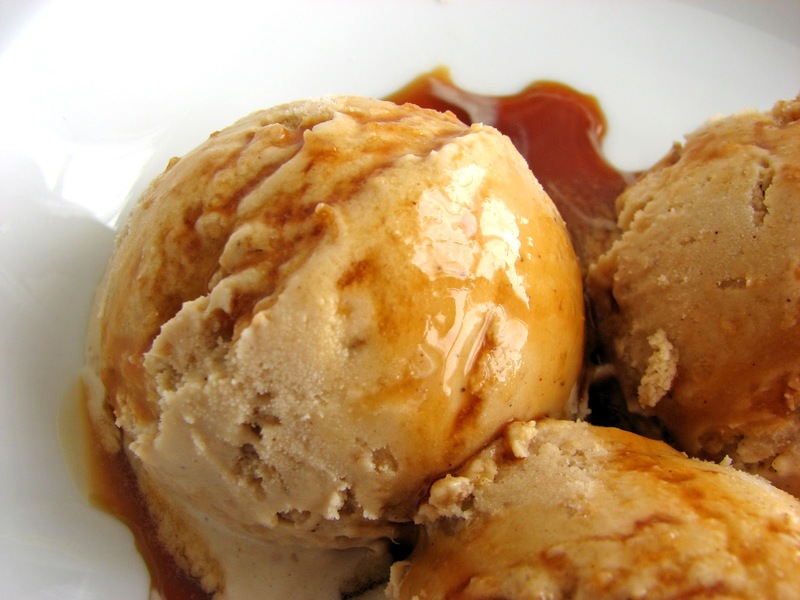 Bring the heavy cream and brown sugar to a slow simmer over moderately low heat, stirring until sugar is dissolved. Remove from heat. Set the bottom of the dish of bloomed gelatin in a pan of simmering water to melt, then whisk into cream mixture. Add the cream and pinch of salt to the yogurt mixture and whisk until thoroughly combined. Pour over set gelée and chill in the refrigerator overnight, or several hours until firm. To unmold, run a clean very thin sharp knife or small metal spatula along the edge of the ramekins. Then one at a time, dip the bottom of the ramekins in a small bowl of very hot water for 6 – 10 seconds, or long enough to feel some warmth on the bottom of the ramekin but not too long to begin melting the gelatin. Place a plate over each ramekin and invert panna cotta. Gently lift off ramekins. Serve at room temperature. As all the beautiful fruit of summer fades from view, we can always turn to the bright spark of lemons. We are now definitely working our way into the fall season and the bounty of lemons in our fruit basket is the best consolation. 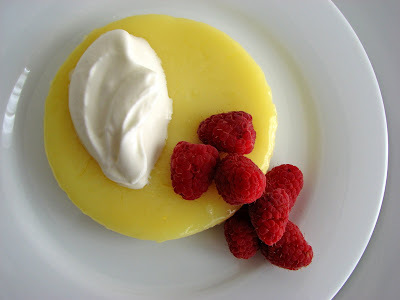 Lemon desserts are among the most popular and satisfying on any menu any time of the year. 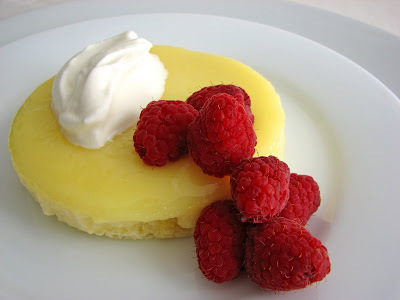 These little lemon cakes are a nice way to complete any meal. They are rather light and absolutely full of lemon flavor. If you love Lemon Meringue Pie, this is the next best thing. As these cakes bake, they finish with a very airy souffle cake-like crust on the bottom and a soft and tart lemon curd layer on the top. Add a dollop of whipped cream and some berries and you are set. Bright, light and sure to please the lemon lover in you. 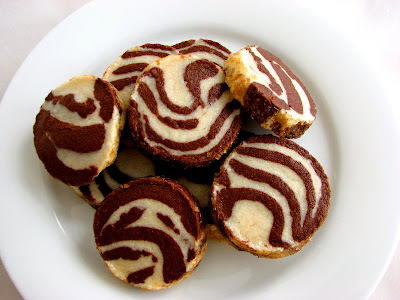 - I tried baking these in small deep ramekins and shallower larger ones. I think the shallower ones work best because the cakes are rather delicate and will tend to collapse if they have too much height. I used 4 1/2" diameter ramekins here. - I’ve also successfully halved this recipe for 4 servings. - This would be delicious with any sort of berry as an accompaniment. Brush eight 5-oz ramekins with butter. Dust the inside of each of the ramekins with granulated sugar and tap out the excess. Set aside. 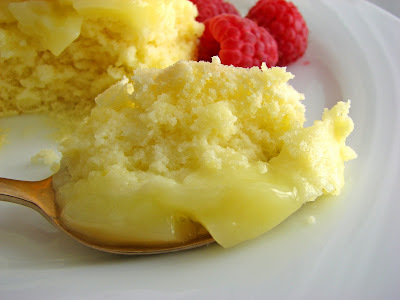 Cream the butter and 6 tablespoons of sugar until it is light in color and texture, about 2 minutes. Add the egg yolks one at a time, beating well after each addition. Stir in the lemon zest and flour until blended. Add the milk and lemon juice and beat thoroughly. Whip the egg whites until soft opaque peaks form. Slowly drizzle in 3/4 cup sugar and whip until the meringue forms stiff glossy peaks. Gently fold the meringue into the lemon mixture. 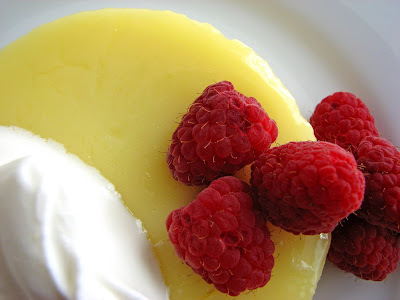 Scoop the mixture into the prepared ramekins and gently smooth the surface of each. Place the ramekins in a large baking pan in the oven. Pour boiling water to within 1” of the sides of the ramekins. Bake 30 minutes or until a toothpick inserted into the center comes out clean. Remove the cakes from the water bath and cool completely. Whip the cream to soft peaks with 1 tablespoon of confectioner’s sugar and the vanilla. To serve, unmold the individual cakes onto dessert plates. Garnish with cream and berries. Serve immediately.